I’ve been inspired by a lot of the minimalist fashion and accessories. I saw quite a lot of wired or simple earring designs when I go shopping. Some wired designs look simple enough to make myself so I gave it a try. I messed with some wires and was going to make a squared earring but ended up with this design after playing with it for a bit. I started with 26 gauge wire and then cut out a desired piece (I used around 8-9 inches for on earring). I looked all over my house for a shape that could help mold/shape my wires and decided on this small Victoria Secret perfume bottle. After taping a side of the wire onto the bottle, I began wrapping the wire tightly around it. It went around about 5 times before I left go and it will create this messy shape. I just needed to remove the tape, cut off the excess wire, and create a loop at one end of the wire. Hook on the earring and I’m done with one earring. 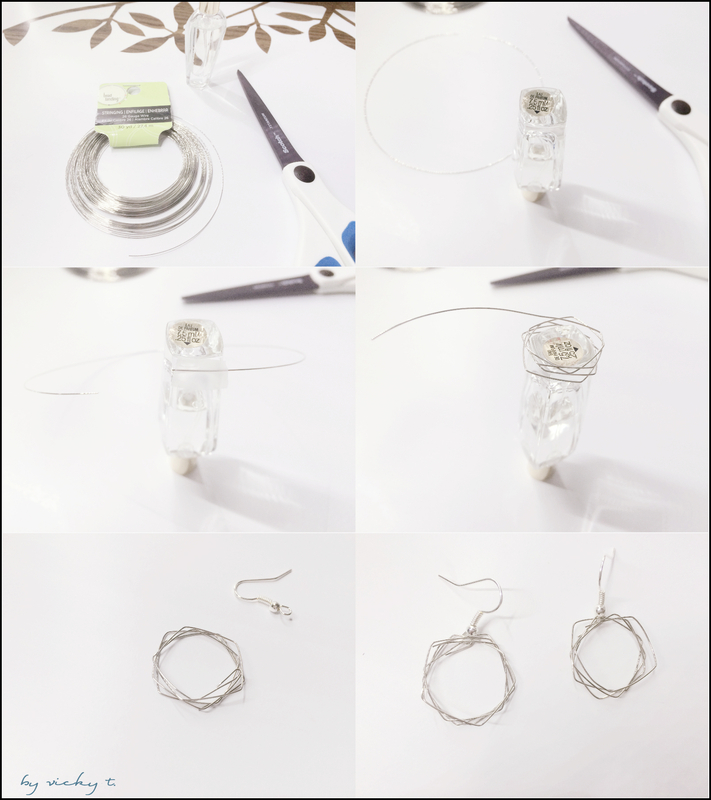 I repeated those steps to make another earring. This is one of the simplest earrings I’ve made so far. 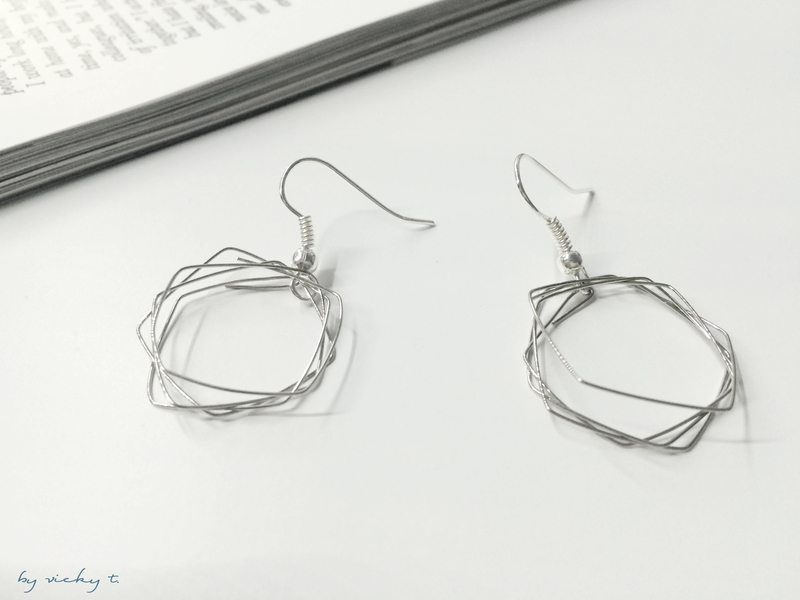 Though the wire is hard to control at times since it’s thin and easily bent into an undesirable shape. Oh my goodness, these are fantastic! I’m definitely gonna make a pair. Woww, your blog’s amazing! Really helpful!